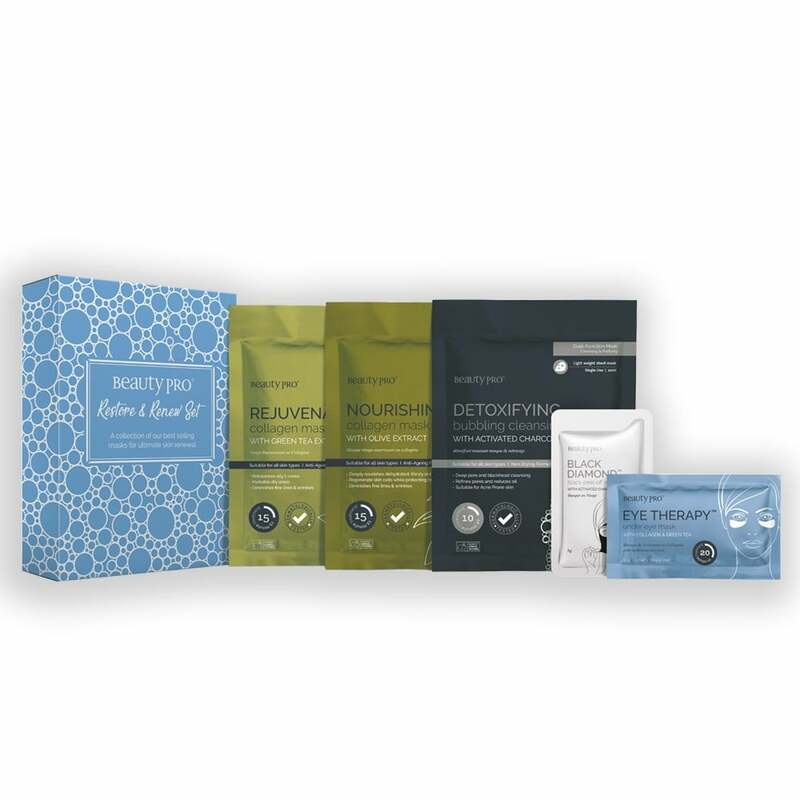 The Beauty Pro Restore & Renew set includes all the products needed to purify your skin and boost complexion, from the comfort of your own home. 1x BLACK DIAMOND peel-off mask with activated charcoal. 1x EYE THERAPY under eye mask with collagen & green tea.